From the very first day after the battle there have been tourists to the battlefield of Waterloo. This is the story of the experience of the early visitors as recounted by six of the first Waterloo tourists – the Poet Laureate Robert Southey, journalist John Scott, author and advocate James Simson, schoolmaster John Evans, an adventurous young gentleman called Newman Smith and novelist and travel writer Charlotte A. Eaton. Their descriptions are moving, shocking – even funny – and give a vivid account of the aftermath of the battle that changed 19th century Europe for ever. The very first sightseers were gentlemen who rode out from Brussels while the fighting was in progress and who watched from behind the Allied lines. Then came some people who were staying in Brussels and who reached the field the next morning. 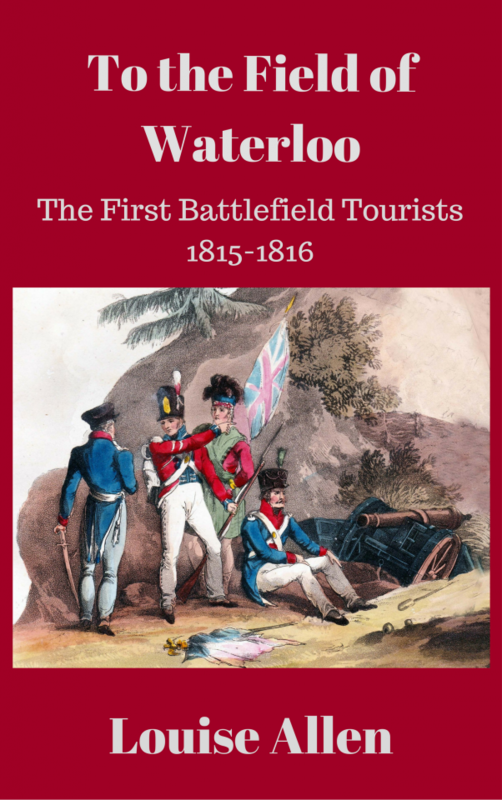 One of the most vivid first-hand accounts of the aftermath is in the Journal of the Waterloo Campaign, Kept through the Campaign of 1815, by Cavalié Mercer, commander of G Troop Royal Horse Artillery during the battle. In his memoirs, published in 1870 when he was a general, Mercer records some of the very first tourists. The position of the artillery unit under his command can still be easily located on the extreme right of the Allied front line between the Lion Mount and Hougoumont. On the morning of the 19th he records surveying the field, helping get water to the wounded and seeing his men were fed. They made a stew of a “quarter of veal, which they had found in a muddy ditch” and ate for the first time in three days, surrounded by mangled corpses and the wounded.